Virtual data room services play an important role in the business performance of contemporary corporations and small enterprises as they allow secure storage and exchange of confidential and sensitive data. There is no wonder that lots of virtual data room providers emerge along with diverse cloud storage platforms. The variety of services available makes the life of deal-makers more simple: each of them may find the platform that satisfies the demands and meets the expectations. We would like to offer you our selection of the major data room providers and to indicate the key benefits and weak aspects of the main vendors. iDeals operates in the virtual data room market since 2008 and its data room has already gained the reputation of convenient and secure cloud-based platform. iDeals VDR is successfully utilized by the representatives of diverse industries such as life science, biotech licensing, investment banking, real estate, fundraising, etc. The room is especially convenient when it comes to cumbersome and time-consuming projects such as M&A deals. In a course of due diligence data room offered by the vendor plays the role of a virtual venue where all the relevant documents are being stored, examined, and discussed. The main task of the virtual data room is to guarantee secure document sharing and iDeals accomplishes this duty successfully. The room is protected on multiple levels: data encryption, watermarks, firewalls, and other features ensure that documents uploaded to the iDeals virtual data room would not be compromised. Along with secure document sharing customers get the highly functional operation environment efficient for execution of the variety of actions. The room proves to be great for file storage as every piece is systematized and the advanced search tools simplify navigation within the system. iDeals is also famous for the decency of Q&A section it provides: the section makes it possible for a project’s participants to stay in touch with each other, to discuss documents and to get a comprehensive understanding of the tiniest nuances of any file. Hence, iDeals proves to be trustworthy and decent data room provider. Intralinks belongs to the oldest players in the VDR market. Being established in 1996 it has over 20 years of experience. The company works mainly with large enterprises (such as representatives of Fortune 100) and focuses on big-scale deals. On the one hand, it allows the vendor to gain an extensive experience in solving the most complicated riddles and in assisting throughout the most cumbersome deals. On the other hand, the prices for services are higher than average. In general, there are three product editions that differ in terms of functions available and that suit certain types of deals. In a case, the basic model is not enough for successful deal execution it can be extended with the help of extra modules which focus on specific processes. Hence, Intralinks makes sure that any client would get exactly what his project requires. The VDR performs all the functions expected from a classic data room. In addition to the secure data storage and exchange, it ensures smooth collaboration inside and outside an enterprise: the tools offered simplify communication between the employees and give a chance to stay in touch with external parties. The deal-making is the main focus of Intralinks and it does its best to guarantee support on each stage of the project execution. Especially helpful it proves to be in a course of due diligence. Donnelley Financial Solutions (DFIN) was established in 1983 and is a leader in risk and compliance solutions. Although DFIN is known for their print services, they have been transforming themselves into a Fintech company providing solutions for mergers and acquisitions (M&A) as well as other regulatory SEC compliance software such as 10-K and iXBRL. One of DFIN’s platforms is their Virtual Data Room (VDR) known as Venuesm. Venue is known for it’s global scalability and can include add-on features such as artificial intelligence (AI) through their eBrevia engine to help automate contract reviews. While other players in the VDR market are trying to satisfy as many customers as possible, Ansarada focuses on one particular kind of clients, namely – on those involved in the execution of M&A transactions. Indeed, Ansarada states it was created exclusively for facilitation of deals between buyers and sellers. From the perspective of its functionality, this VDR is characterized by several pluses and minuses. Apparently, when it comes to merger and acquisition projects Ansarada simplifies the life of the both sides, of their advisors and analysts significantly as all the functions offer and the interface are designed in the way that speeds up and facilitates the entire process. However, the room seems to be not the best choice for other types of deals: Ansarada cannot be treated as a good platform for long-term data storage and exchange. Hence, it performs better when being utilized for individual deals. Ansarada is an Australian company that emerged in 2005. Since that moment it tried to penetrate into the VDR market and to make an affirmative emphasis on the segment of M&A deals. As of today, their software had been released in its 3rd edition. However, the functionality of the platform remains standard and does not exceed the set of instruments required for successful M&A. Brainloop is the vendors with its headquarters in Germany. Its main focus is assistance throughout deal-making collaborations. It means that Brainloops provides diverse software that simplifies and facilitates communication between the project participants and guarantee safe information exchange. While Ansarada and RR Donnelley make emphasis on mergers and acquisitions and design their VDRs in compliance with the latest requirements buyers and sellers, Brainloop has released the platform that has no particular specialization: Secure Dataroom would be convenient and helpful for all deal-makers who seek for the safe environment for information exchange. The variety of its customers proves the universal nature of the VDR: social networking sites (e.g., Twitter, Foursquare), Allianz, the European Space Agency, etc. The VDR resembles a Swiss Army Knife: being equipped with a wide range of tools Secure Dataroom turns into the instrument that may come in handy disregarding the type of the project, the purpose of a use, and the sphere the client works in. Moreover, the download of the software is not required. However, the complex functionality of the platform might cause delays in the execution of transactions: a certain time might be required to introduce inexperienced clients into the way Secure Dataroom functions. Firmex combines traits of the huge VDR vendors and brave small-scale startups. On the one hand, you enjoy the functionality inherent to experienced providers. At the same time, you observe constant innovations and moderate prices that characterize fearless newbies who fight for the own niche. Being a relatively new player in the market, Firmex has managed to gain the respect of numerous clients worldwide: the company claims to support over 75,000 clients. On the list of their users, the one may notice such well-known names as Deloitte, PWC, E&Y, Deutsche Bank, and many representatives of investment banks, legal firms, energy, mining, pharmaceutical sectors, etc. The VDR proves to be the most convenient for merger and acquisition transactions as it is equipped with multiple instruments that facilitate communication, speed up due diligence, and simplify every aspect of collaboration. In general, the room offers the usual set of options required for successful deal-making. For instance, it can boast of an excellent customer service. However, Firmex possesses plenty of unique and advanced features to surprise any customer. “View As” option is of a particular interest: it allows the platform owner to check out how each of the visitors views the VDR and to ensure himself that none of the files was accidentally viewed by a wrong user. Even though VDR services do not constitute the primary focus of Box the key reason why it should be included on this list is Business on Box platform developed within the company. When users start dealing with this product, they notice immediately the resemblance inherent to Box and diverse file sharing services available free of charge (e.g., DropBox). While exploiting the similar user-friendly interface inherent to freemium services Box proves to be more advanced in terms of information protection. Moreover, the platform offers the wider range of instruments and provides clients with multiple features that make internal communication and collaboration with external partners more smooth and convenient. The set of options immanent to Box is rather standard: experienced users would not detect anything innovative or surprising among the functions. In the example, the platform provides such options usual for VDRs as segregated permission groups and automatic expiry of access to certain files. However, Box seems to be more suitable for individual consumers that are not involved in large-scale and complex transactions and projects. The room lacks certain options which facilitate M&A transactions and ensure multi-sided data protection. Thus, corporate clients and organizations dealing with highly confidential data storage and exchange may treat Box as not the greatest selection. The VDR market keeps on growing and new virtual data room providers emerge regularly. However, there are vendors that have managed to gain the reputation of decent and trustworthy players. iDeals data room belongs to the most protected and convenient platforms recently available in the market. This platform combines the complex security system, intuitive and simple interface, diverse communication and analysis instruments, qualified support team, and adequate prices. Being a relatively new player among vendors, iDeals has managed to gain the extensive experience: its virtual data rooms have been utilized in complex and time-consuming deals and projects executed within the variety of industries. Although the data room is already treated as a high-quality assistant iDeals continues working on the improvement of the room: innovations and unique features are among the key priorities of the company. Hence, iDeals successfully accomplishes its role, helps deal-makers execute their projects smoothly and securely, and competes with the largest and the oldest vendors. Virtual data rooms may come in handy for everyone who wants to keep the data in a highly protected environment. However, there are certain industries and spheres which are more interested in secure document sharing than others. In the example, investment banks, law firms, startups, etc. need to guarantee the safety of the information, eliminate risks of leakage and misuse. Virtual Data Rooms seem to be the most helpful in a course of M&A transactions. A decent virtual data room simplifies the entire process of interaction between a buyer and a seller and allows both sides to feel safe. Virtual Data Rooms prove to be especially useful when it comes to due diligence. They make this inevitable but time-consuming stage of M&A run faster. Indeed, when all the necessary data is uploaded to a virtual data room the potential buyers get an access to it and may take their time examining documents. Moreover, in a contrast to any land-based deal room, a virtual data room allows multiple visitors to work with the files simultaneously. Hence, with the help of Virtual Data Rooms, a seller has a chance to maintain a productive and smooth dialogue with several bidders concurrently and to remain sure that no files would leak, that the process would not be interrupted, and that the deal would bring maximum profit. Law firms face similar problems as other industries do: data security and uninterrupted flow of communication are among their primary concerns. However, they deal with one more dimension of problems as the storage and exchange of information have to meet all the legal standards in order not to compromise the clients. Obviously, it is possible to build an extranet but the opening of a virtual data room seems to be cheaper and more efficient. The key advantage of any virtual data room is its customization: the room can be adjusted to the needs of a certain client or case. 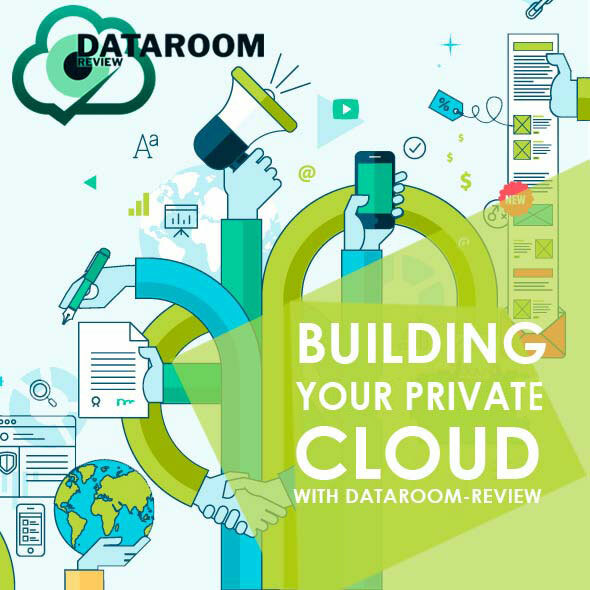 Moreover, Virtual Data Rooms allow law firms to impose different levels of data disclosure and to maintain contacts with multiple parties within one room. With the help of a VDR, it is easy to keep all the files connected to particular cases well-organized and accessible within seconds. The spheres mentioned above give a brief insight into the list of industries interested in the exploitation of virtual data rooms. And this list seems to be non-exhaustive as almost any deal-maker may find something helpful and beneficial in the use of virtual data rooms. Hence, representatives of fundraising, IPOs, real estate, biotechnological licensing, clinical studies, investment banking and many other spheres tend to pay attention to VDRs. Today, virtual data rooms do not belong to the luxurious services rarely used by deal-makers. Initially, VDRs were utilized by a limited group of business but, during the last decades, the situation has changed. The importance of data protection becomes more and more evident as new threats for information security emerge. However, the exploitation of virtual data rooms is aimed not exclusively at secure data storage: these services provide users with diverse instruments that simplify the information exchange, internal and external communication. The evident advantages immanent to virtual data rooms make businessmen explore the VDR industry and search for the appealing vendors. As plenty of data storing software providers offer their services, such a task proves to be rather challenging. Anyway, our comprehensible algorithm should simplify the selection of a virtual data room provider. Make a market research and look through the existing virtual data rooms. First of all, you should evaluate the reputation of the vendors. Expert reviews and feedback could help you understand if certain room meets your demands and expectations. It is always advisable to cooperate with those providers who have an excellent reputation. For sure, it does not give you 100% guarantee that your data would not be compromised somehow but the chances to experience leakage or breach are miserable. The functionality is a dimension defining the reliability of virtual data rooms. Certain industry standards exist and a set of selected functions is expected to be present in the VDR you use. Security options are among the trait to be evaluated first. You should make sure the protection of files is guaranteed on numerous levels owing to diverse instruments such as encryption, virus scanning, two-step user verification, watermarks, etc. If you suspect the protection system to be of not the highest quality then you should better reconsider your choice and look for a different room. Also, pay attention to other functions offered by a vendor. For instance, you might need an efficient Q&A section for communication with your employees, partners, and customers. Or you might plan to exploit the room for multiple projects: permission groups option would come in handy. Regular activity tracking would help you monitor what the users do inside the room. Advanced search tools and multiple filters would simplify the work process and let you deal with files quicker. Hence, you should look through the features inherent to certain VDRs, evaluate your own needs, and choose the room that satisfies your requirements. Before purchasing a subscription you should better test the service on your own. Usually, trial versions of VDRs are available for free. It means you’ve got a chance to check out the functionality and convenience of the VDR. You are not supposed to test the entire list services you found as it would be enough to select 3-5 most appealing platforms. After a few days of exploitation, you should be ready to name your favorite service. Also, pay attention to prices as two equally equipped and convenient venues may vary in their cost. The times when document sharing was time-consuming and irritating process are long gone. In the era of the Internet and pervasive dissemination of gadgets, the exchange of the files is extremely easy. Commonly, no one is interested in getting a hard copy of a document: its digital version is equally (or even more) convenient to work with. Indeed, it does not take any physical space, it can be viewed on diverse devices, and a user can store a large volume of information considering a deal or a project in his pocket. The shift towards online data sharing has not occurred within a few days: it was pretty long transition until the moment when deal-makers realized that it is cheaper and more convenient to exchange the data online. Microsoft Office files and PDF documents came to substitute piles of paper. The need in new instruments for information sharing emerged due to the ever-growing desire of businessmen to escalate their performance: deal-makers become impatient and want to work on several projects simultaneously. It means that they have to stay in touch with a few partners that might be located in geographically remote areas, they have to manage large volumes of information and share it with the right partners. Hence, multiple actions have to be executed concurrently and they must be executed fast as sometimes you have minutes or even seconds to share a certain file in order to succeed. In such conditions the need in highly efficient services becomes evident. After all, it even seems ridiculous to use email to send Microsoft Office files and PDF documents in a course of a large-scale cross-national project. Luckily, contemporary technologies are capable of satisfying the demand for fast and convenient file sharing platform. Generally, potential customers have to make a basic decision if they want to use the free software or if they are ready to pay for a subscription. Depending on the answer, there are two categories of online file sharing programs – freemium and paid virtual data rooms. When it comes to the platforms available free of charge the one may recall in the mind such names as DropBox, Microsoft OneDrive, Google Drive, etc. They are characterized by more or less similar functionality and the final choice depends on a user’s habit, loyalty to a brand, visual preferences. To explain the way freemium services work and the benefits it may offer we will pay attention to Google Drive. Being a product of such a reliable vendor as Google, the software attracts all the users loyal to the search engine. In general, you do not need to pay any particular efforts to start using Google Drive: if you have a Gmail account then you get access to the online storage automatically. In a few clicks, you may upload bulks of Microsoft Office documents, photos, presentations, and other potentially valuable files. When the data is already uploaded to your Google Drive you may open access to the file and invite other people to view and work with your data. Hence, you get a chance to share information and interact with other users in a real-time mode. From this perspective, Google Drive seems to be a great solution that may facilitate your performance and simplify your life significantly. But being a free service it is pretty limited in its functionality. It means that Google Drive proves to be useful for individual users and small-scale projects. When it comes to global corporate deals such freemium services fail to satisfy needs of the deal participants. In such cases, paid virtual data rooms are utilized for online data sharing. These services allow businessmen to upload Microsoft Office files and PDF documents containing information on their performance and to share them with selected stakeholders. Virtual data rooms proved to be useful for deal-makers regardless their aims and industries of operation: M&A deals, clinical studies, biotech licensing, fundraising, investment banking, real estate, and numerous other spheres currently benefit from the exploitation of VDRs. Partners would not treat you seriously if you try to send them a pile of papers or a link to a freemium platform. Thus, if you want to remain competitive in the market you need to open your own VDR. The room can be set up in a few minutes and it would not take you long time to upload all the necessary Microsoft Office files and other documents. After this stage is complete, you may share your files with anyone you want and it would take a person a few seconds to access the file even if thousands of miles separate you. Moreover, VDRs allow you to work on several projects simultaneously and you have a chance to save a considerable amount of time. The room allows you to work with the documents whenever and wherever you want. In fact, freemium services provide you with the same possibility but there is a noticeable difference between VDRs and free software in terms of functionality. Virtual data rooms give you more freedom of actions and facilitate your work with diverse tools such as advanced search instruments, convenient word processors, etc. The need in online file sharing instrument is undeniable. The question is which one to choose – a free platform or a paid virtual room. The answer depends on the needs, goals, and abilities of a potential user. After all, each type of software has its own peculiarities, advantages, and audience.